Recruiters spend a lot of time and money on the preparation of job advertisements and the subsequent proactive marketing of their vacancies by posting on job boards and by sharing on social networks. Most of the time—it’s a leap of faith—in that we check the site has a big enough audience, then we post, we share, we tweet, we like and we hope, yes we hope that the applicants come rolling in. And many times they do, and at other times the response falls below our expectations. Of course there can be many reasons for a poor job advert response rate, e.g unattractive position, poorly constructed job advert, high demand/low supply, etc. It will, of course, take trial and error to find out which particular factor is limiting the effectiveness of your job advert. 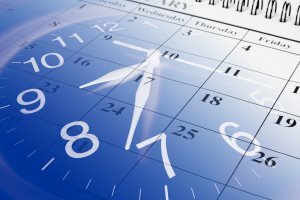 One area that can often be overlooked during job marketing campaign is the fact that certain job sites yield better response rates on certain days of the week or year, or certain hours of the day. One way that recruiters may be able to maximize response rate is by posting/sharing their advert at the most optimal time of day when candidates are most likely to be present and responsive. To help any recruiters or employers who wish to experiment with posting ads at optimal posting times to see if it will increase their response rates, I have compiled data from various credible sources, which shows when job sites appear to be most responsive. According to research from eQuest, a global jobs distributor that manages jobs postings for employers, Wednesday is the day of the week when job hunters are most active and responsive to job advertisements. I admit that it’s an older survey, but it was quite a thorough study that looked at 1 million jobs posted through its system over an approximate 3-month period. They counted the number of candidates who viewed ads and the number who actually applied and found that 17.5 percent of candidate activity took place on Monday; 17.8 percent on Tuesday; 18.1 percent on Wednesday; with only 16.8 percent of candidate activity occurring on Thursday; and just 12.3 percent of candidate activity occurring on Friday. The peak job searching time was between 11 am-1 pm and 4-5pm, and the advice from eQuest, (which I am inclined to agree with based on their data), is to post job adverts early in the week for maximum effect. Ad Posting: A survey by Yesmail looked at ad effectiveness on Facebook and found that campaigns deployed on Tuesdays, Fridays and Saturdays had most audience engagement. I have to be a little wary of the relevance of this study because it is not looking at job adverts only, but any advertising campaign. Still, it reinforces the findings of equest in terms of Tuesday being a potentially very responsive day for posting job adverts. Link Sharing: Once again, this research reported by Mashable, and prepared by Link tracking service bit.ly, is general and not specific to job postings but still shows the relative responsiveness of Facebook users to shared links based on day and time of day. In their study, the Mashable folks found that links posted between 1pm and 4pm EST get the most responses with Wednesday at 3pm ET being the best time to post on Facebook all week. So, there’s another vote for Wednesday reinforcing the eQuest findings that Wednesday may be the hottest day of the week for job ad responsiveness. The bit.ly research has found that links that are posted early in the week between 1pm and 3pm EST will get the most clicks and users should avoid tweeting links after 8pm or 3pm on a Friday. Once again, this reinforces the eQuest findings that Friday is a bad day to post job adverts and Monday, Tuesday and Wednesday are prime time for job advert responsiveness. For those of you who like to engage with your potential candidate market through blog postings, it seems there is an optimal time for posting blogs, according to 2010 research by Dan Zarella. He found that re-tweet activity tended to peak around 4pm EST, which implies this might be the best time to tweet a recruiter blog post for maximum reach. He also found that retweet activity peaked on a Friday. He analyzed nearly 100 million tweets, and in aggregate concluded that Friday at 4pm is the most retweetable time on the week, and which I infer, as the best time for you to place your recruiter blog posts. He also looked at Facebook and found that articles that are published on Facebook on weekends are shared much more than those published in the week. This means that, sadly for you recruiters, you need to drop the surfboard and start posting your recruiter blog articles to Facebook on the weekend, that is if you are to get maximum responsiveness. I accept that Dan’s research is not specific to career-related blogs, so it may not be as pointed as it could be, but I still believe it has some relevance to careers and recruiting articles.